GIS helps us be smarter by improving how we manage and make decisions. 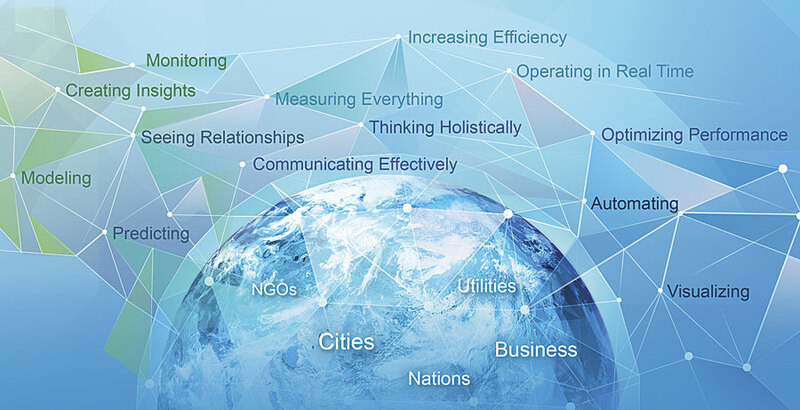 “GIS is waking up the world to the power of geography, this science of integration, and…creating a better future,” proclaimed Esri founder Jack Dangermond at the 2015 Esri User Conference. So much so that we appear to be entering a period of geographic enlightenment, or geoenlightenment, according to Dangermond. “What we do here affects there,” he said during his speech at the conference’s Plenary Session July 20. “Geoenlightenment is about understanding this interconnectedness and also applying this knowledge everywhere—applying it to make the world a better place,” he continued, echoing the theme of the conference, Applying Geography Everywhere. GIS is becoming essential infrastructure for so much of what we do—helping us be more efficient, make better and smarter decisions, and communicate more effectively. The ongoing evolution of technology—faster computers, big data, cloud computing, smart devices, and increased capacity to measure things—is giving rise to a new pattern of GIS. We call this pattern web GIS, and it integrates and leverages all the investments that have already been made in GIS data and technologies. This pattern is rapidly expanding the application of GIS across organizations and beyond. At the heart of web GIS is exactly what GIS professionals already do every day. However, web GIS changes how they operate. It is connecting them with many more users across the organization and allowing easy access to powerful GIS capabilities, employing simple app technology to create innovative applications of GIS. The result of this will be better geographic understanding and more awareness of the world’s interconnectedness, ultimately engendering more informed decisions and actions. The following examples from the Plenary Session demonstrate how this is already happening. The Hartsfield-Jackson Atlanta International Airport has built a real-time enterprise GIS that helps it manage 250,000 passengers per day, 200 aircraft gates, five runways, 115 taxiways, 16,000 slabs of concrete, and more than 18,000 airfield lights. This requires a robust enterprise GIS solution. At the Plenary Session, GIS analyst Anthony Vazquez and the City of Atlanta’s GIS manager David Wright showed the audience how the airport uses ArcGIS Online and a handful of mobile apps to inspect and maintain runways, taxiways, green space, streetlights, and more. They also demonstrated how the 3D capabilities in ArcGIS Pro helped them determine which trees were penetrating airspace near runways so the airport could ensure that they stay trimmed to Federal Aviation Administration regulations. 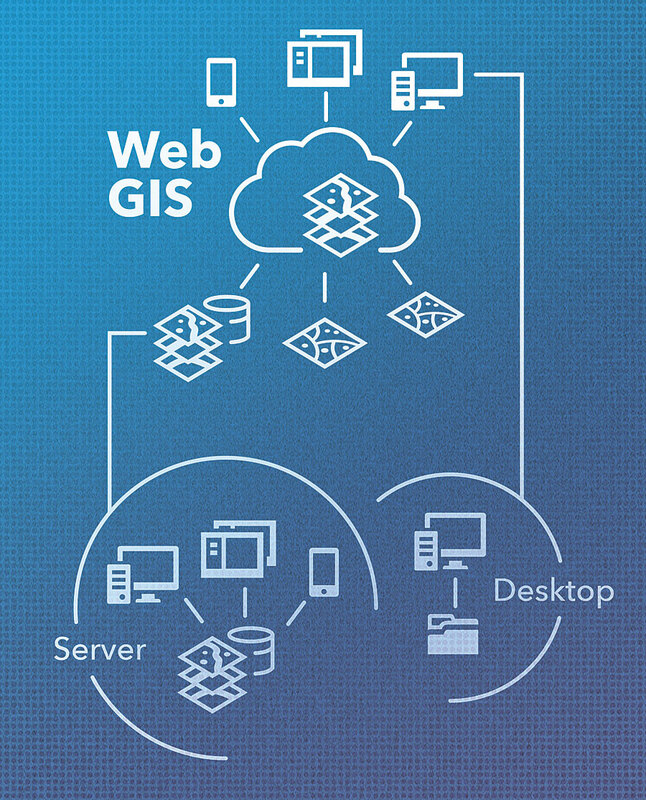 Web GIS is a transformational architecture that opens, integrates, and simplifies everything. It brings together our systems of record into a GIS-based system of engagement. And 3D data can be delivered anywhere—to web browsers or mobile devices—as Esri’s Craig McCabe demonstrated. Using the newest Scene Viewer, ArcGIS Runtime SDK for the Microsoft .NET Framework, and ArcGIS Runtime SDK for Android, McCabe showed how Esri users can do 3D spatial analysis outdoors, indoors, from a first-person perspective, and in hypothetical situations to determine, for example, viewshed gaps. GIS ensures that customers of Beck’s Hybrids, a seed and technology company in Atlanta, Indiana, have no gaps in their farming techniques. “By bringing farming and GIS together, Beck’s provides precision [agriculture], simplified, to every farm,” said Brad Fruth, Beck’s Hybrids’ information systems manager. Presenter Craig Rogers demonstrated Beck’s Hybrids’ FARMserver, a map-enabled web application that helps farmers maximize yields and keep costs low. Using maps, spatial analysis, and big data from live sensors and farm equipment, software users can monitor data, such as soil composition and weather, to ensure that their Beck’s Hybrids’ corn and soybean seeds thrive. Farmers can also use ArcGIS to conduct detailed and prodigious analyses of where to plant various seed varieties. Esri senior software engineer Mansour Raad used the forthcoming Big Data GeoAnalytics extension for ArcGIS for Server to figure out where to plant 87 varieties of Beck’s Hybrids’ corn, depending on variables such as soil type, heat, moisture levels, and specific planting windows. That resulted in 300 billion spatial and temporal calculations being done in all of 10 minutes. Now, that’s precision. Comparable care is needed to fight fires, and that’s what Anthony Griffiths and Anthony Burgon of the Victoria, Australia, Department of Environment, Land, Water, and Planning exhibited in their plenary presentation. “Victoria’s flora, topography, and climate make it one of the most brushfire-prone areas in the world,” said Griffiths. After more than 400 wildfires raged across the state on Black Saturday in February 2009, agencies all over Victoria realized that they needed to be ready for the next wildfire before it sparked. They worked together to create eMap, a collaborative, cross-departmental emergency mapping system for fire-related information. Using one map, built on a common database and accessible on any device, the State of Victoria is now able to proactively respond to and manage wildfires using predictive technology. By employing near real-time imagery and a fire modeling and prediction system called Phoenix Rapid Fire, responders and incident commanders from various agencies can forecast potential impact zones. 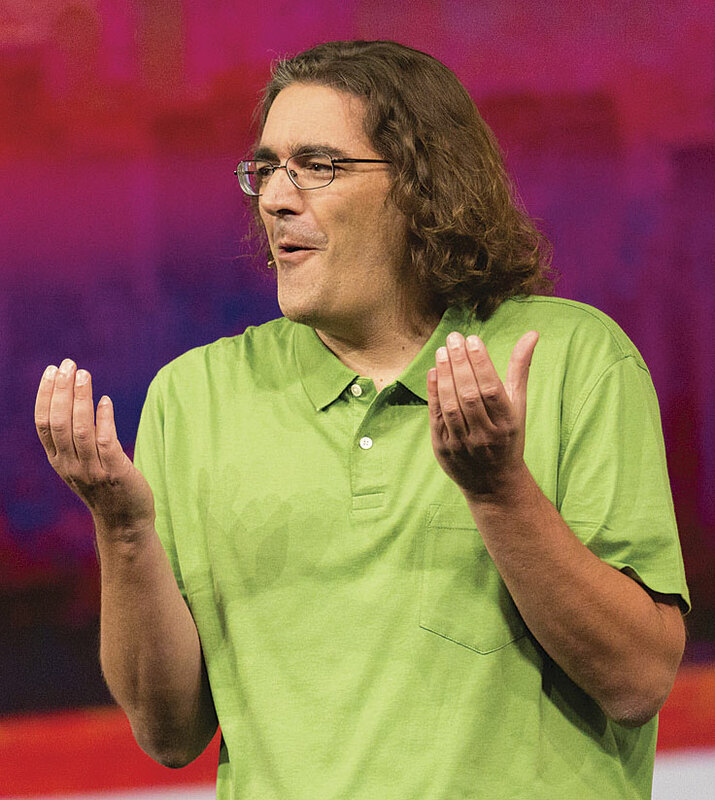 Esri senior project manager Ismael Chivite introduced AppStudio for ArcGIS. Having maps in the field for emergency operations is crucial as well. AppStudio for ArcGIS, demonstrated by Esri’s Ismael Chivite, Sathya Prasad, and Elvin Slavik, makes it easy to develop native apps that run on any device. For example, volunteer firefighters in Australia could use simple apps—created without coding anything—to take photos of a fire, add a location and description to the incident, and submit a quick report back to the fire department. Various agencies could also use AppStudio to configure secure mobile apps that replace many of their paper forms. The Southwest Florida Water Management District (SWFWMD) streamlined many of its workflows by revamping its GIS infrastructure to bring together industry, agriculture, environmental organizations, and Florida residents. SWFWMD bureau chief Steve Dicks showed the plenary audience how web GIS helps manage a range of water issues, from keeping Florida’s winter strawberries hydrated while ensuring that residents retain their water resources to analyzing how new housing developments need to plan around flood zones. Leigh Vershowske, the district’s GIS database and server analyst, also demonstrated what he called the agency’s “most important map”: an online form that makes it easy to apply for well, water use, and construction permits to plan future water development. And senior environmental scientist Kris Kaufman illustrated how SWFWMD used GIS to clean up a very polluted Tampa Bay and bring back ecologically vital seagrass in record numbers. Monitoring water quality levels across such an aqueous state requires sophisticated analysis. Esri program manager Steve Kopp unveiled the new ArcGIS integration with R, which enables users of each system to access the capabilities of the other. For instance, to understand water quality in all areas of Florida’s Peace River system, ArcGIS users can employ the statistical capabilities of R to use stream geometry and landscape variables to forecast water quality values throughout the stream network—even in the most remote and hard-to-analyze areas. As these plenary presenters demonstrated, ever-expanding use of GIS creates connections within and across companies, agencies, and communities. Web GIS, especially, allows GIS professionals to expand their impact by developing applications that foster deeper understanding not only within the GIS department but amid executives, knowledge workers, and citizens alike.